Photo: The winning team, consisting of Amanda Geradts (nutrition), Jessica Landrie (advisor, nursing), Hallie MacLachlan (nursing), Carly Legault (veterinary medicine), Heather Thiessen (patient advocate/advisor), Lin Wang (pharmacy) and Matthias Muller (physical therapy). 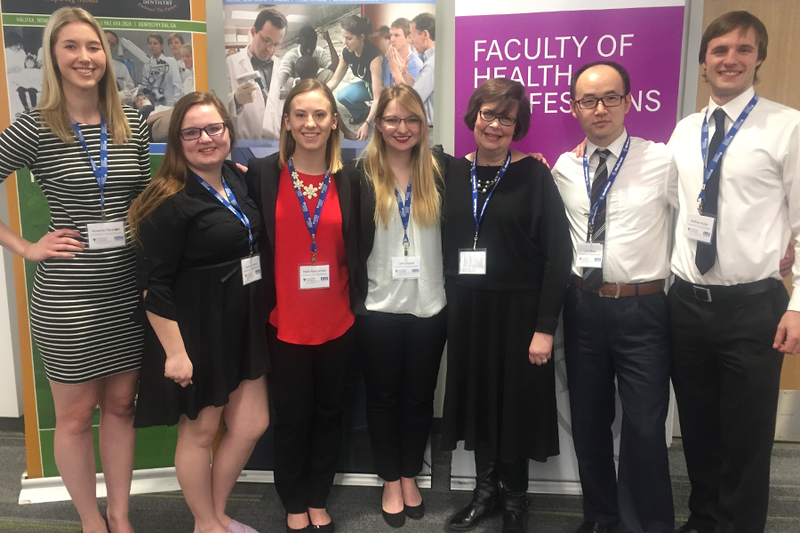 A U of S student team recently won top prize at the National Health Care Team Challenge, a Canada-wide case competition for students in the health sciences. The team—consisting of students from pharmacy and nursing, nutrition, veterinary medicine and physical therapy, as well as a patient advocate and team advisor—travelled to Halifax for the national competition this past weekend, just six weeks after the provincial competition. The team was ultimately successful in presenting a plan of action that was interprofessional and focused on patient-family centered care. They did this by working collaboratively and applying their skills, knowledge, values and attitudes to their problem-based case.